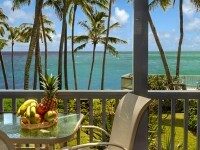 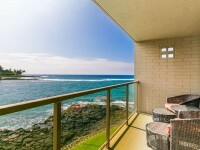 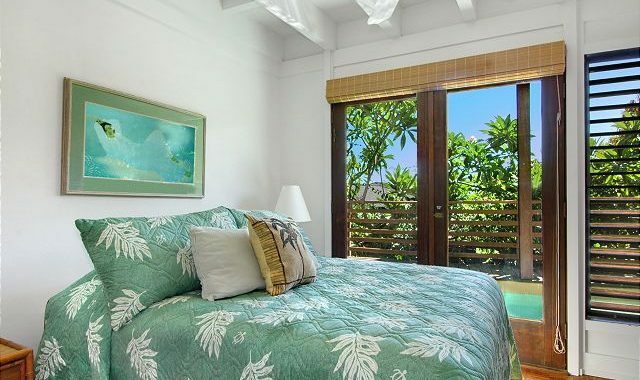 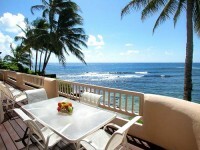 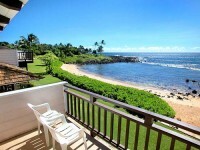 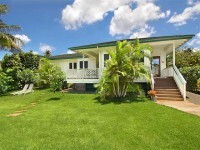 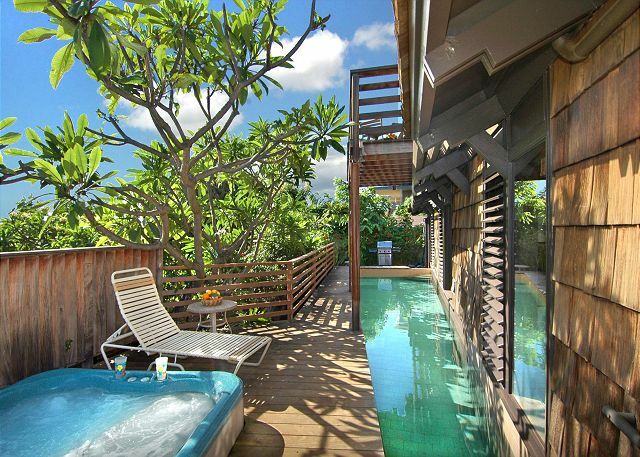 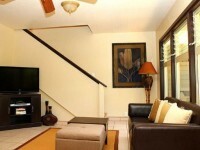 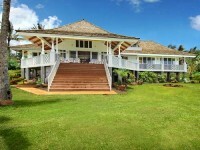 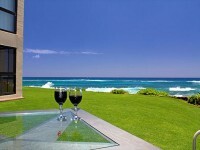 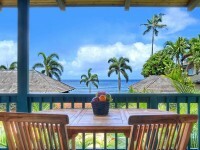 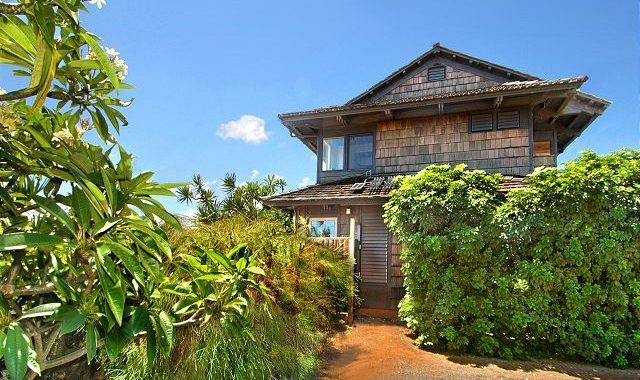 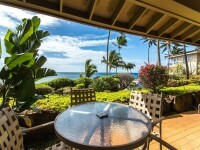 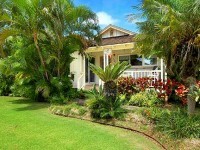 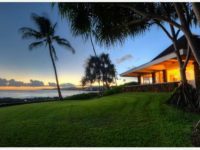 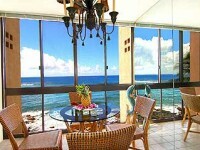 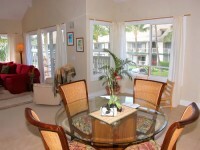 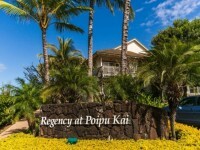 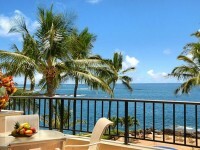 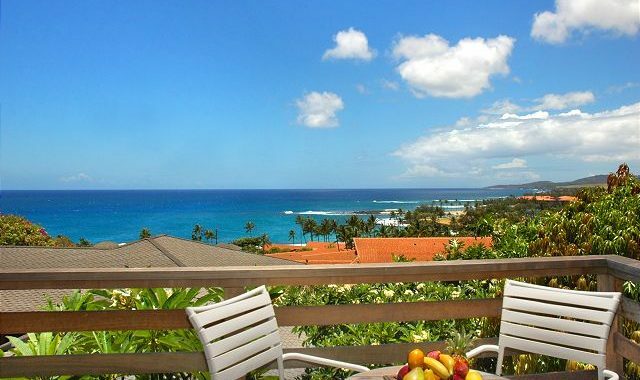 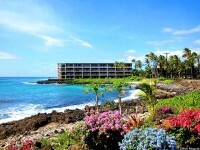 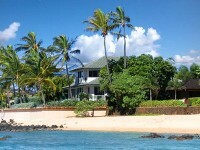 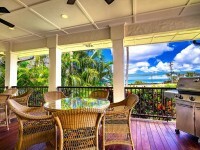 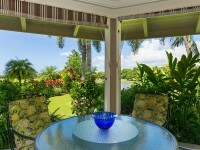 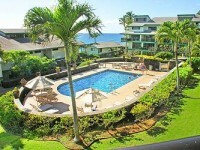 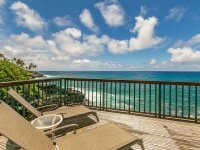 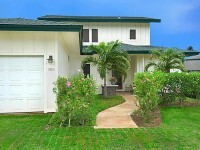 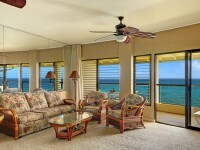 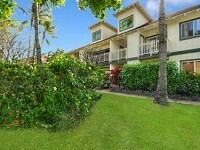 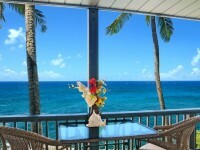 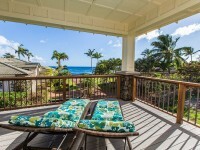 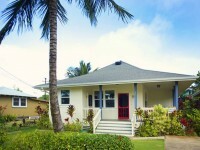 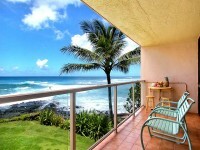 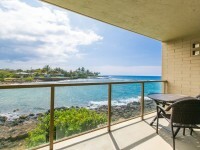 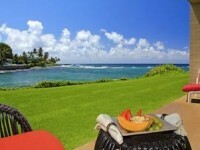 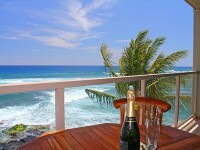 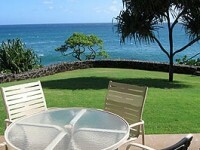 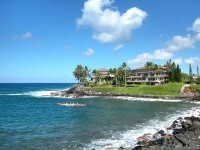 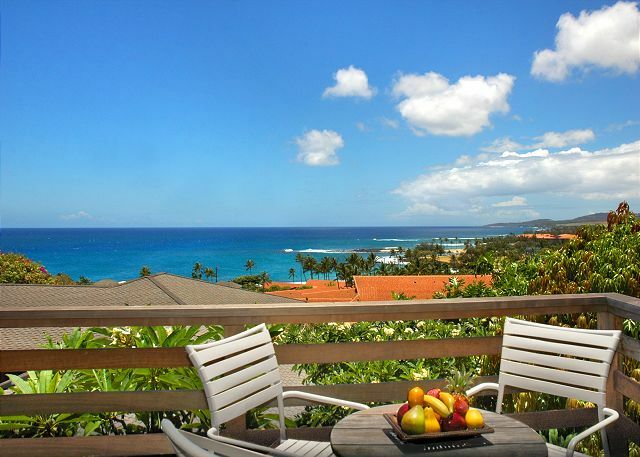 POIPU, KAUAI VACATION RENTAL: Entering The Views Hale (3B/3B) is a treat for the senses! 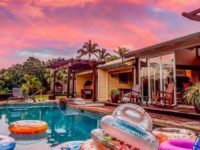 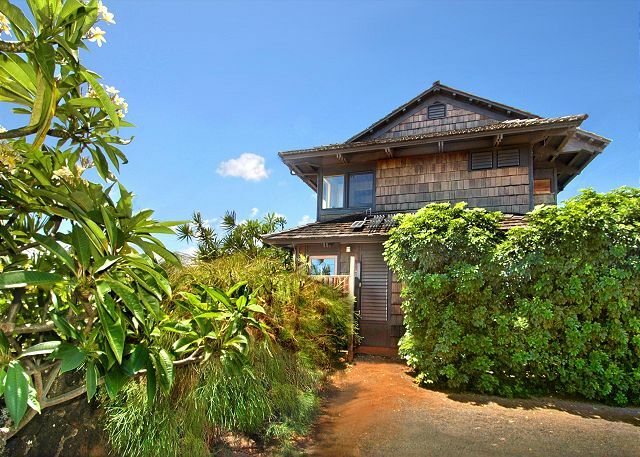 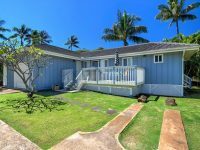 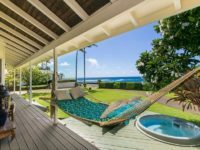 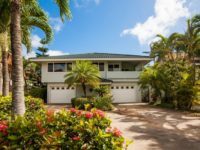 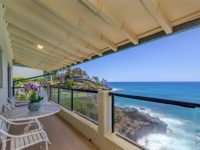 Exhilarating 270 degree views of crescent shaped white sand beaches, two famous surf spots, and sunrise to sunset views over the Pacific coastline surround this eclectic two story beach house. 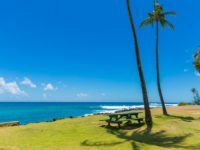 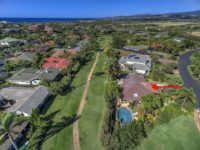 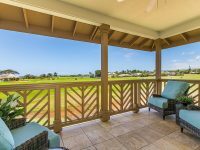 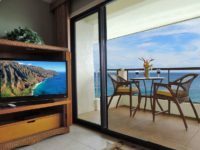 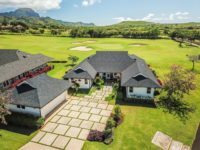 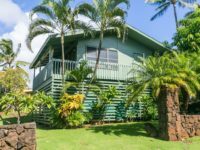 The Views Hale is circa 1960’s archtiecture and is situated on the high point of the Crater Rim Road, thus the spectacular view, plus an easy 5 minute walk to Poipu’s best beaches. 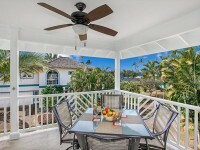 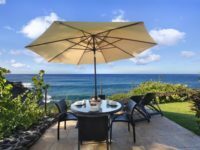 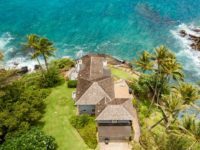 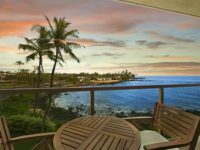 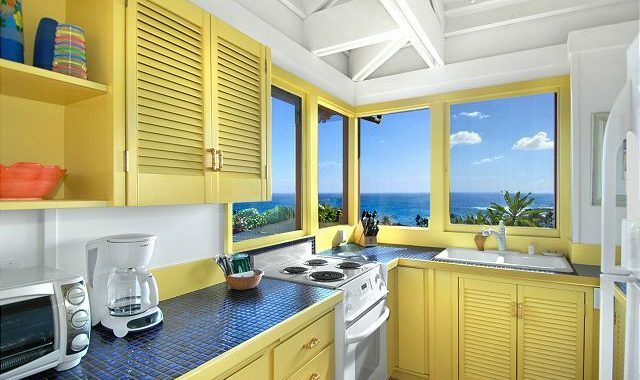 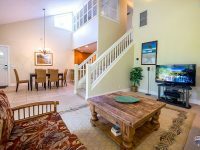 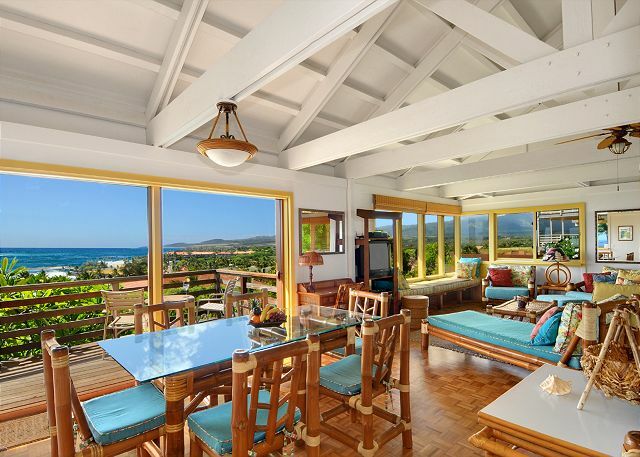 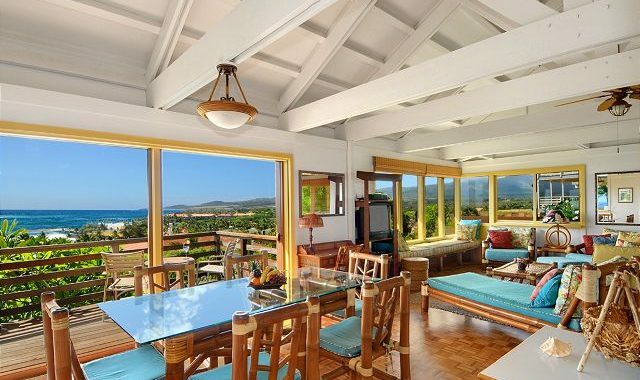 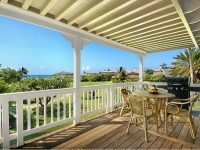 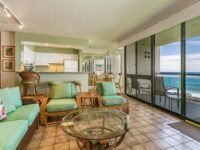 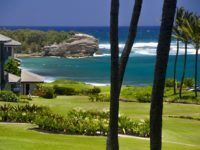 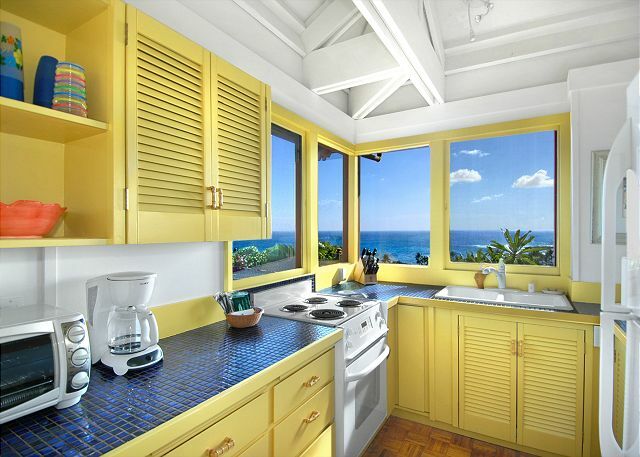 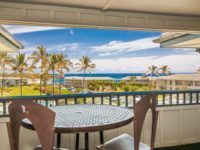 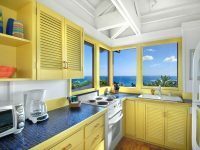 The kitchen, living and dining areas open to the 2nd floor lanai and feature an incredible panorama of ocean vistas, swaying palms, and a variety of sealife, including Kauai’s humpback whales during the winter season. 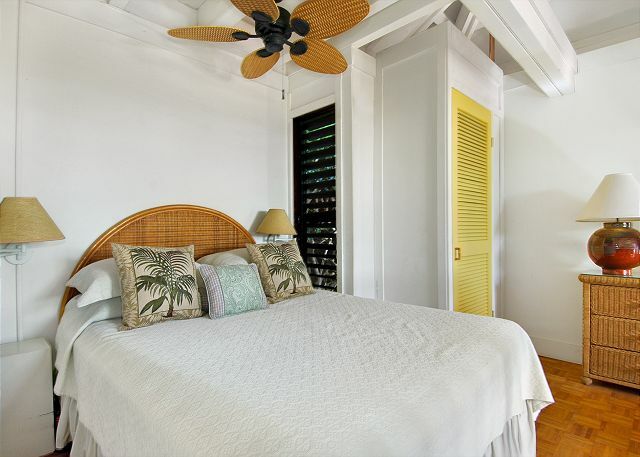 The master suite has a king bed and opens to the ground floor lanai, lap pool, hot tub, BBQ, and landscaped, private, outdoor shower. 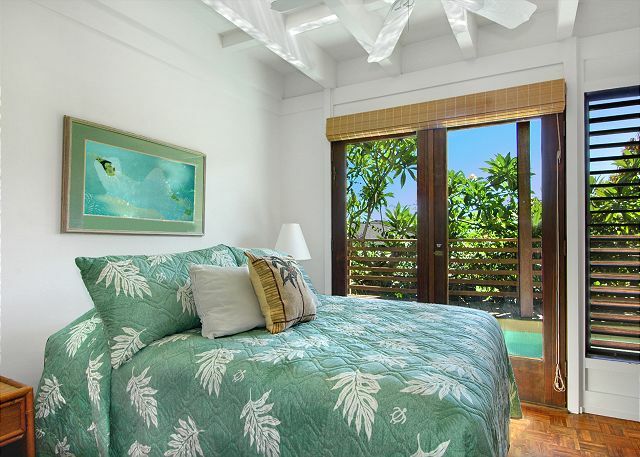 The second bedroom has a queen bed, and the third bedroom with den has a full bed and a queen bed. 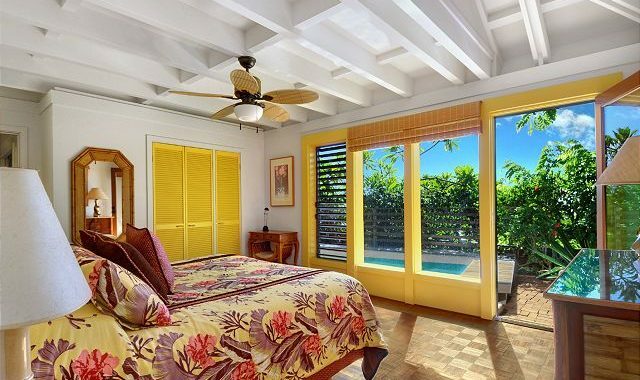 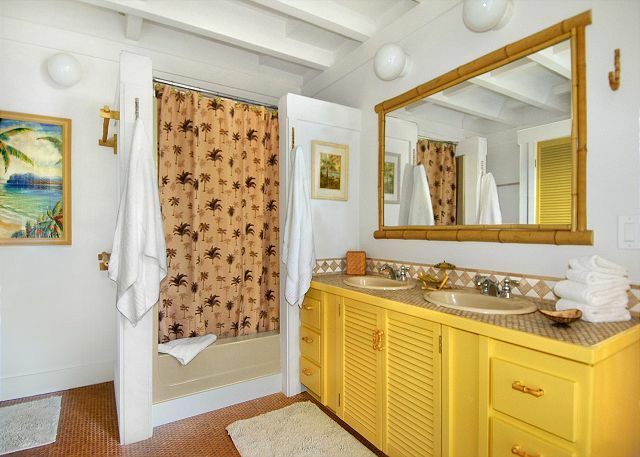 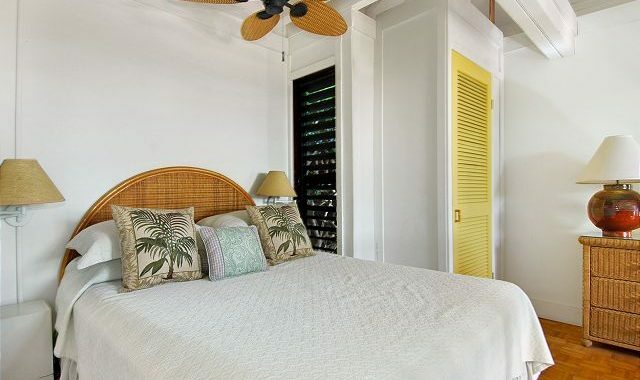 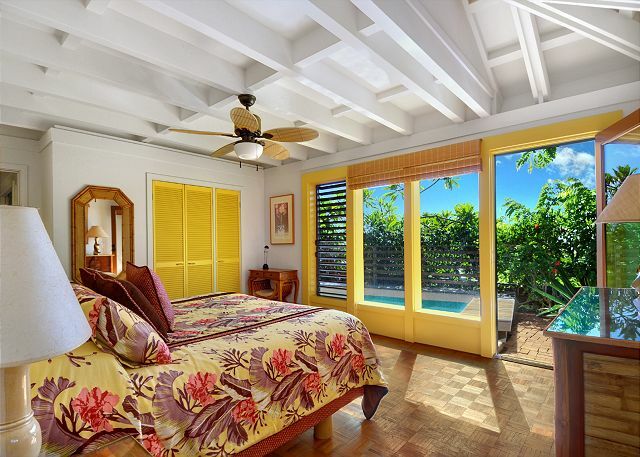 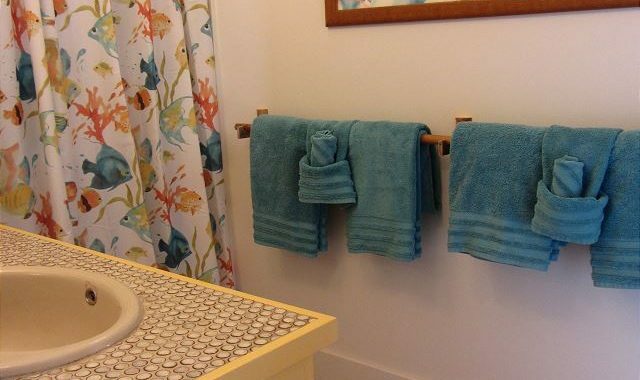 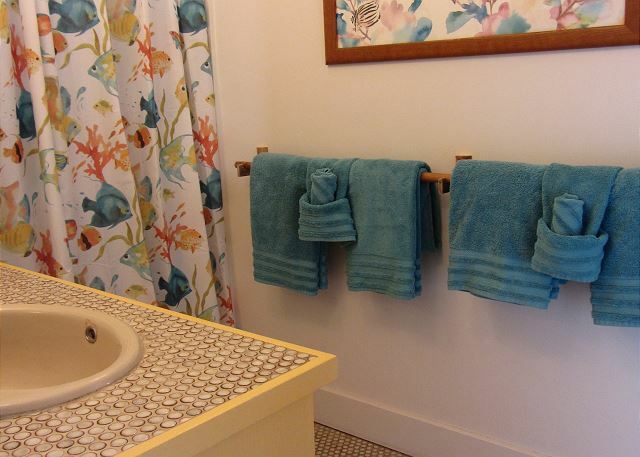 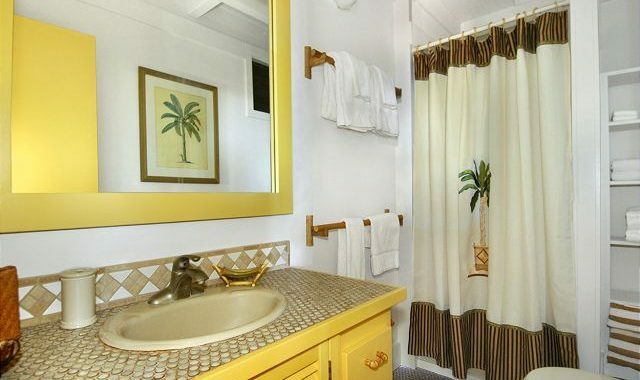 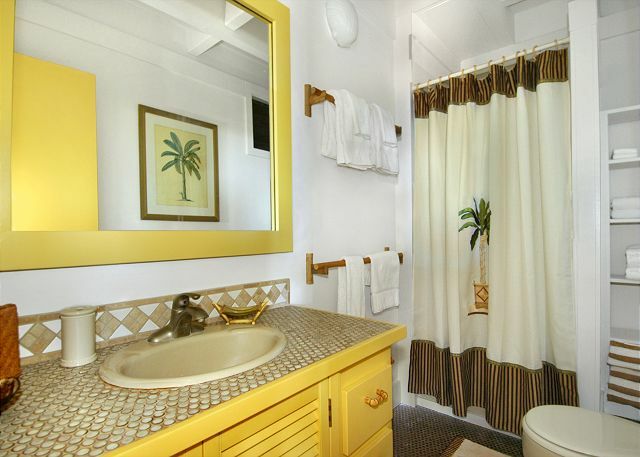 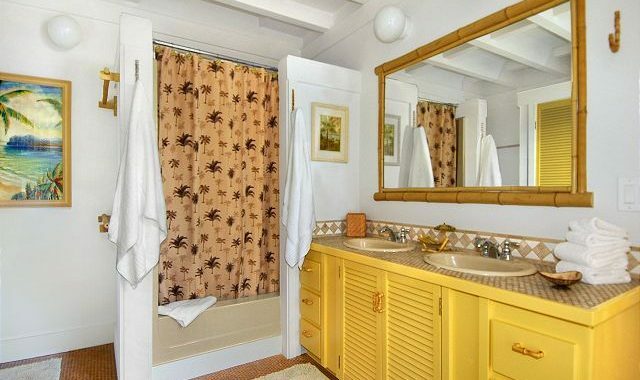 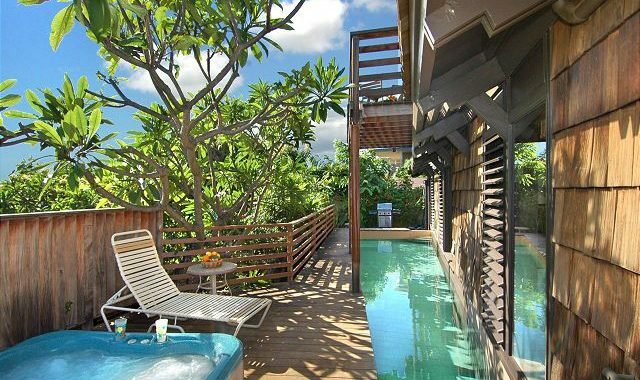 These two rooms are connected to a bath and can be closed off to become a private suite, which also opens to the lap pool and hot tub lanai.